Head out to Cape Kidnappers to see the Gannets on Gannet Beach Adventures tractor and trailers - More fun than you ever imagined! Relax in the heated outdoor pools at Ocean Spa Napier. Springtime is always a popular time to visit the Hawke's Bay Farmyard Zoo with many baby animals to feed, as well as a great selection of animals, pony and horse treks. 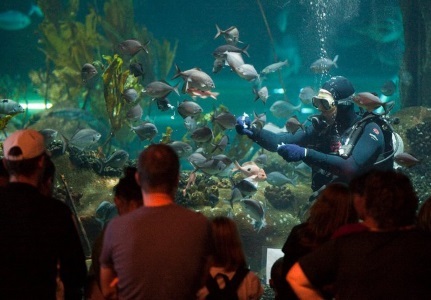 Visit the National Aquarium of New Zealand. Ride along the travelator and enjoy the marine life that is above and around you. 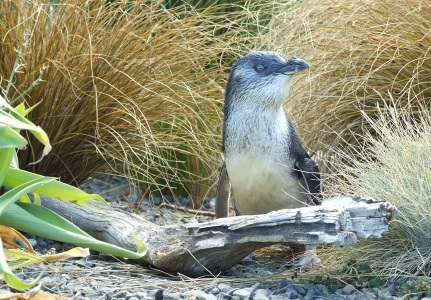 Don't miss the little Blue Penguins. Climb to the top of Te Mata Peak and take in the stunning views of the surrounding area. Hawke's Bay Museum Theatre, Gallery (MTG) - now a state of the art gallery and exhibition space, MTG is home to fascinating displays of art and sculpture as well as a permanent 1931 earthquake exhibition. 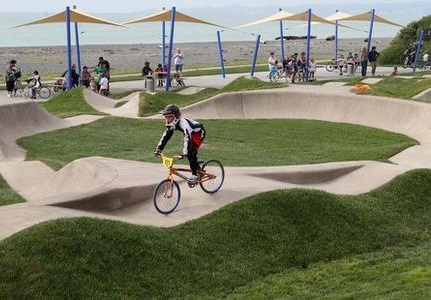 Burn off some energy at Bay Skate in Napier, or checkout Napier’s brand new cycle pump track. It's all about having fun, so bring the whole family and bounce on in to Inflatable World. It's not just for the kids as they encourage the parents to have fun with their children too. Laser Force - one of the most exciting, fast moving live action laser tag games you can experience anywhere in the world. Perfect fun for children and adults! Visit the fascinating Arataki Honey Visitor Centre and learn all about the amazing honey bee. It's really interactive for kids and best of all it's free! Get your motor running, head out on the highway for an exhilarating Supertrike ride. 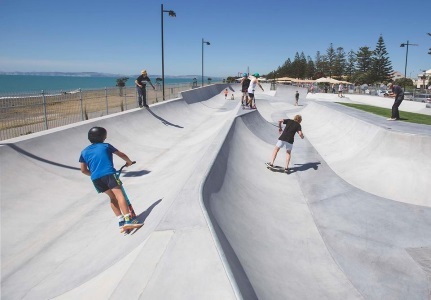 Experience the thrill of the Napier Aquatic centre’s two indoor heated waterslides. The fast 63m dash slide for the adrenalin junky or the 75m slower slide for a more leisurely experience. Enjoy the great outdoors and explore PekaPeka Wetlands, White Pine Reserve, the Mangatutu hot springs or one of our other wonderful scenic reserve walks. Throw the bikes in the car (or hire them from Takaro Trails or Fishbike) and cycle the nice and flat off road cycleways - perfect for all the members of the family, or for a lot more excitement ride the trials in Eskdale MTB park. 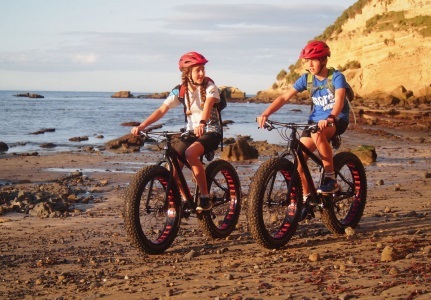 Hire a really cool fun fat tyre bike from FishBike or Gannet Bikes and head out to Cape Kidnappers to see the Gannets. Feed the ducks and ducklings in Anderson’s Park. Follow your sweet tooth to Silky Oak Chocolate Factory. Tour the museum and learn about the history of chocolate and where it comes from, taste the delights in the shop or just enjoy lunch in their family friendly café. 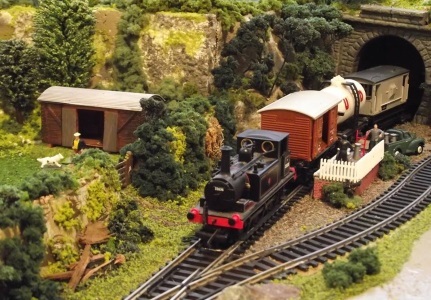 Visit Trainworld – one of New Zealand’s largest model railways. 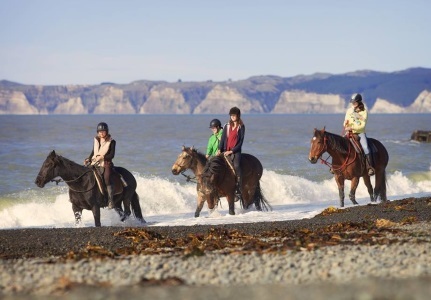 Saddle up and explore the countryside with Boutique Horsetreks. Learn about our early pre–european history at Otatara Pa Reserve or let Waimarama Maori Tours share their culture, get to know their family and feel the power of sacred native landscapes. A visit to Napier is not complete without an award winning Rush Munro’s ice cream – simply the best ice cream in the world! Go fishing off the Ahuriri wharf. Experience a journey down memory lane in an Aladdin's Cave of historical technology at the Faraday Centre Hawke's Bay's Museum of Technology and Science where you are encouraged to touch, hold items, pull levers and truly discover how things would've been in days gone by. Enjoy a round of golf at one of Hawkes Bay’s many golf courses. Visit the weekend urban and farmers markets, and talk to the people who grow or make your food. Plus! Plus! 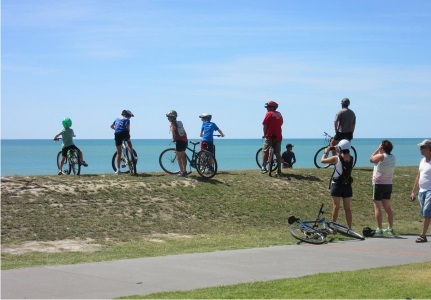 There is so much more to see and do in Napier on holiday!